DAYTONA BEACH, Fla. — While much of the nation battled a harsh winter and a late arriving spring, Daytona Beach, one of golf’s emerging destinations, has enjoyed idyllic spring weather, providing players with pristine conditions and good times on and off the course. Known as the home of the “Great American Race” and the ‘World’s Most Famous Beach,” savvy group leaders are increasingly discovering the virtues of a Daytona Beach golf trip. As the spring golf season enters its final month and planning for the fall begins, Daytona Beach’s popularity is surging for several reasons. Daytona Beach is home to nearly 30 courses, allowing golfers to build a trip that can accommodate any budget. As the home of LPGA International’s Jones and Hill courses, the area is anchored by a pair of the Sunshine State’s premier layouts, while Crane Lakes, Cypress Head the two designs at Daytona Beach Golf Club help deliver tremendous value. Florida’s mild winters have long made the state a retreat for golfers in search of sunlight, and that winter warmth has another benefit: layouts enjoy optimal conditions during the peak season. With an average high of 74 in March, the Bermuda grass on Daytona Beach’s golf courses is thriving early in the season. Golf is only half the fun, and Daytona Beach is in a class of its own off the course. From Daytona International Speedway to Ponce Inlet Lighthouse and enough nightlife to power a month-long trip, the fun is just beginning when the final putt drops in Daytona Beach. 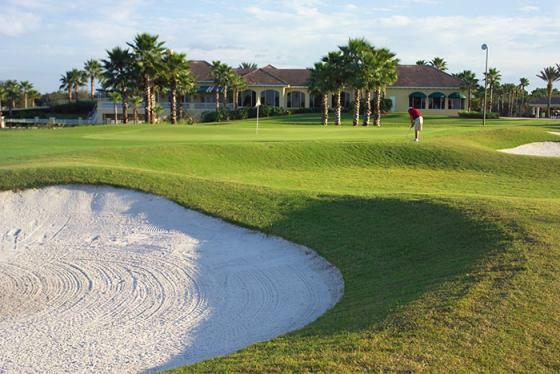 The quality of Daytona Beach’s golf offerings are only enhanced by its proximity to other attractive destinations. The area is a short drive from Bay Hill Golf Club, host of Arnold Palmer’s PGA Tour event, and TPC Sawgrass, home of the Players Championship, providing golfers easy access to a pair of bucket list venues. While there is talk of Daytona Beach emerging as a destination, the reality is the area has deep historical ties to the game. Three local layouts – South Course at Daytona Beach Golf Club, New Smyrna Golf Club and Riviera Country Club – are part of the Florida Historic Golf Trail. The South Course and New Smyrna GC are Donald Ross designs, and Riviera, which oozes charm, is home to the nation’s longest running mini-tour event. All three are classic designs that fans of traditional architecture will appreciate. For more information, visit www.DaytonaBeach.golf.